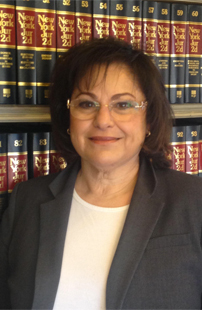 Roseann F. DiVernieri, Esq., the senior partner of the firm, attended Fordham University’s undergraduate program and graduated from the School of Law in 1980. 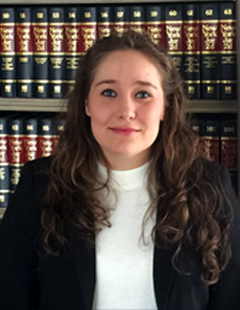 After an internship with the Legal Aide Society, Ms. DiVernieri joined her mother, Rose M. DiVernieri, Esq., at the law firm founded by her father, Hon. Pasquale E. DiVernieri. In 1983, Ms. DiVernieri was joined at the firm by her husband and law partner, Theodore J. G. Cotter, Esq. A general practitioner Ms. DiVernieri practices in the areas of probate and administration of estates, estate planning, matrimonial and family law, business formations, and real estate transactions. In addition to maintaining a private practice and raising two children, Ms. DiVernieri has volunteered at the American Cancer Society, dedicated time to teaching at St. Joseph Hill Academy High School, and assisting in various fund raising activities for both the Daughters of Divine Charity and St. Joseph Hill Academy. Theodore A. Cotter, Esq. earned his undergraduate degree at Fordham University, College at Lincoln Center, located in Manhattan. Mr. Cotter graduated Fordham University School of Law in 2008 where he interned for Professor Abraham Abramovsky [deceased]. Following law school, Mr. Cotter worked as an assistant district attorney in the Kings County District Attorney’s Office. There Mr. Cotter specialized in prosecution of crimes where juveniles were charged as adults and prosecutions of crimes on school grounds. Following his work as an assistant district attorney, Mr. Cotter joined his mother, Roseann F. DiVernieri, Esq., at DiVernieri, DiVernieri, and Cotter, LLP. Mr. Cotter specializes in criminal defense matters, real estate, probate and administration of estates, and estate planning. 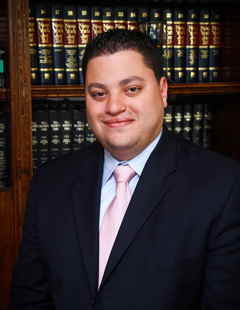 He devotes his free time to the Boy Scouts of America, as a committee member of Troop 27 in Oakwood Heights and as a board member for the Staten Island Council. Mr. Cotter is a member of the High Achievers chapter of BNI: Business Networking International. Amanda R. Drucker, Esq. graduated from Barnard College of Columbia University in 2011 and Fordham University School of Law in 2014. She is a member of both the New York and New Jersey State Bars. During law school, she completed internships with a variety of organizations, including the John Jay College of Criminal Justice Office of Legal Counsel, Chambers of Judge Matthew A. Sciarrino, Jr. of the New York County Criminal Court, the Visiting Nurse Association Health Group, Inc., and DiVernieri, DiVernieri & Cotter, LLP. Upon graduation, Ms. Drucker joined her aunt and cousin at DiVernieri, DiVernieri & Cotter, LLP where she focuses on matrimonial and family law, probate and administration of estates, guardianships, and Medicaid planning. She is a member of the Richmond County Bar Association and the Prefer to Refer Chapter of BNI: Business Networking International.